Richardson's Holiday Parks | Great Yarmouth Maritime Festival Set to Make Waves This September! 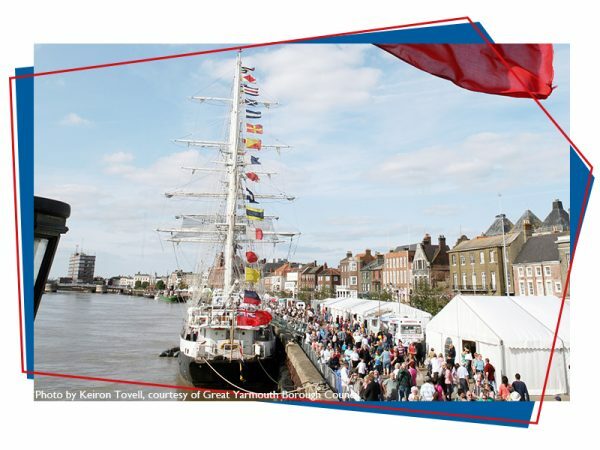 Home » Great Yarmouth Maritime Festival Set to Make Waves This September! Great Yarmouth Maritime Festival Set to Make Waves This September! The Great Yarmouth Maritime Festival returns once again this year, in association with Seajacks UK Ltd. The famous Great Yarmouth festival is a free, 2-day event which takes place on the town’s historic South Quay and features ships to go aboard, maritime craft stalls, shanty & maritime music as well as a selection of demonstrations and exhibitions! Plus, there’s plenty of fun children’s activities to get involved with as well as street theatre! This great free event is a fantastic way to celebrate Great Yarmouth’s maritime history as well as learn about what the future holds for maritime in the town. 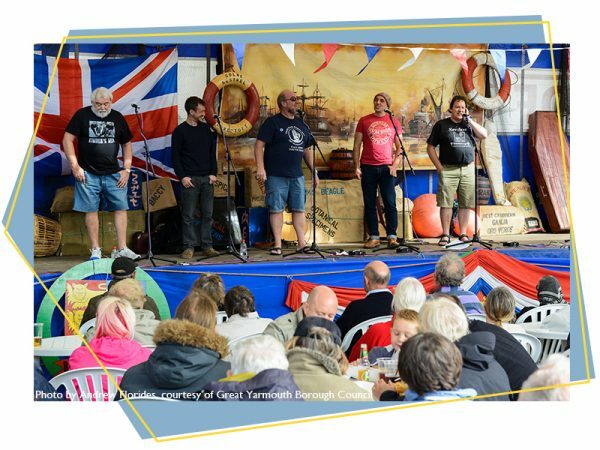 There are three different stages across the festival, hosting a great variety of live folk music and sea shanty songs performed live by bands from across the UK and Europe! Why not try your hand at some traditional maritime skills at the demonstration stands, or take a look at the maritime-related craft stalls and pick yourself up something unique? 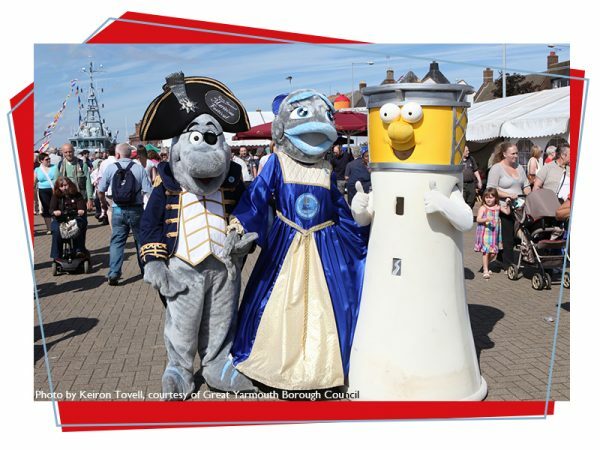 Tell the kids to keep an eye out for the festival’s mascots – Horatio Herring, his wife, Mrs. H, and their friend Lofty the Lighthouse! Plus, there will be live demonstrations from the International Boat Building College, the East Norfolk Militia and more, as well as an appearance from Jack Sparrow! For the kids, there is a children’s craft marquee, Punch and Judy and plenty more! You can find out all about the Great Yarmouth Maritime Festival now by clicking here.